Last Seen: What happened during the Gardner art heist? Inside the greatest art heist in history. Why, 28 years later, is the mystery of the Gardner art heist still so irresistible? With a $10 million reward on offer, how hasn’t a single piece of the half-billion-dollar haul surfaced? Gone in 81 minutes, how have the Gardner thieves escaped capture for so long? With first-ever interviews, unprecedented access and over a year of investigative reporting, “Last Seen” takes us inside the ongoing effort to bring back the jewels of the Gardner collection. See the artworks stolen from the Gardner Museum, and read why they are important. 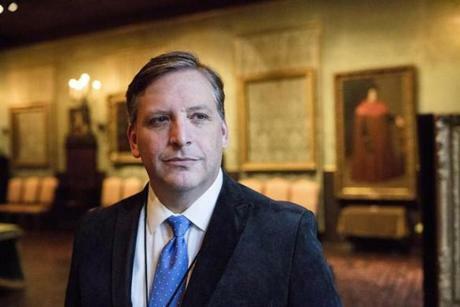 Anthony Amore has worked as security director for the Isabella Stewart Gardner Museum since 2005. In his role at the museum, he also is responsible for assisting the FBI in solving the heist. By his own account, Amore still speaks at least daily with Geoffrey Kelly, the top FBI agent on the case, and works with him to pursue leads, conduct interviews, communicate with reporters, art investigators and even members of the public about the case. He has even accompanied federal agents on the numerous searches of homes and other properties. Over the years, he has become a consultant specializing in art theft and museum security. 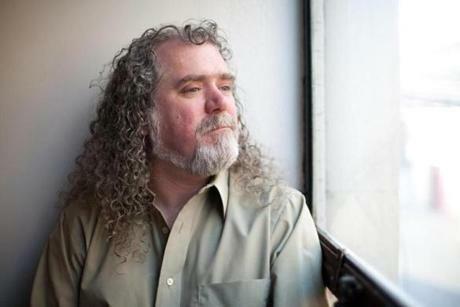 He has written two books: “Stealing Rembrandts: The Untold Story of Notorious Art Heists” (with reporter Tom Mashberg) in 2011 and “The Art of the Con: The Most Notorious Fakes, Frauds and Forgeries in the Art World” in 2015. In 2018, he ran on the Republican ticket for the office of Secretary of State in Massachusetts. Amore says he will not rest until the paintings are found. While maintaining confidentiality of the criminal investigation, Amore has said publicly he believes the heist was the work of a local criminal gang, with assistance from someone inside the museum. He believes the artwork has been stashed somewhere nearby. 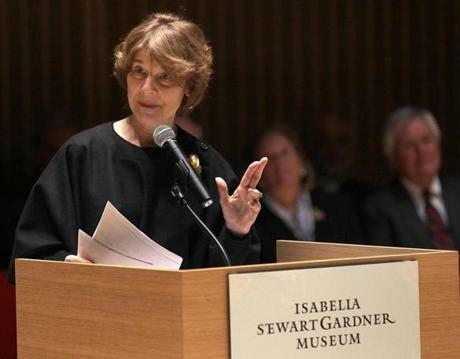 Anne Hawley was the director of the Isabella Stewart Gardner Museum when it was robbed in 1990. She had only been on the job for a matter of months when the theft occurred. The fourth director since Gardner died in 1924, Hawley’s mission was to restore vitality to the museum, which had begun to fray because of inadequate fundraising. Haunted by the loss of the masterworks and concerned that the FBI wasn’t giving the case adequate attention, Hawley took an active role in the probe. She hired a private investigative firm, encouraged Boston’s business and political leaders to get involved and even pursued leads herself. Before retiring in 2015, Hawley led a $118 million fundraising campaign that built an extension to the museum designed by famed architect Renzo Piano. Born in 1840, Isabella Stewart Gardner became a force of nature in Boston society and a leading American art collector. A Boston newspaper in 1875 called her “one of the seven wonders of Boston.” The newspaper noted: “There is nobody like her in any city in this country. Everything she does is novel and original. She is as brilliant as her own diamonds and is as attractive. 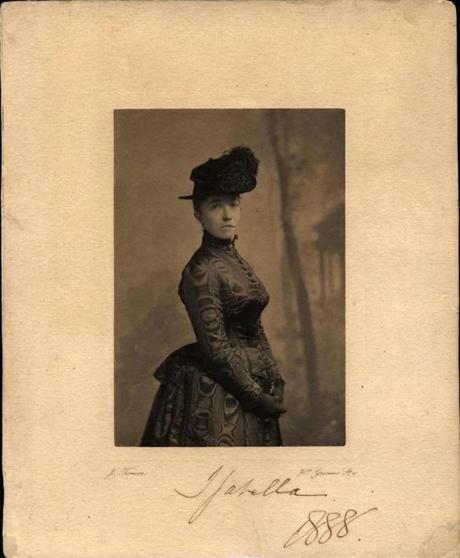 Boston is divided into two parts of which one follows science and the other, Mrs. Jack Gardner.” As a young woman, she spent her time cultivating fascinating people -- mostly young, beautiful, creative men -- and was a philanthropic force in the city. She inherited her father’s fortune and collected art. Toward the end of her life, Gardner wrote to a friend: “Years ago, I decided that the greatest need in our country was art.” And that is what she left behind in the Renaissance-style Venetian palazzo known as the Isabella Stewart Gardner Museum. Richard (Rick) Abath, 23, worked as a night watchman and made the grievous error of allowing the thieves into the museum. Authorities have long suspected that Abath, who now lives and works as a teacher’s aide in Vermont, may have been complicit. He’s cooperated fully with investigators throughout the process and claims he has passed FBI lie detector tests. 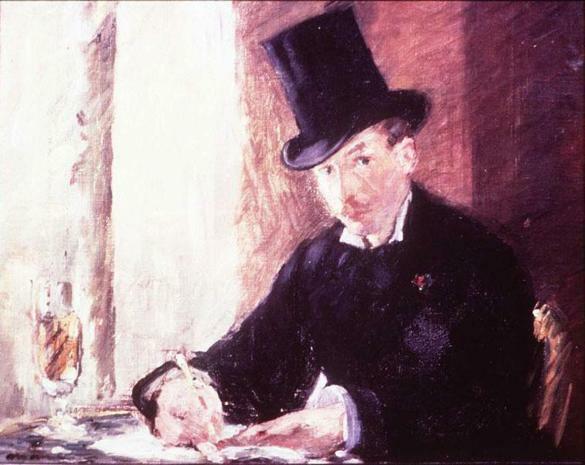 However, suspicions around Abath’s possible involvement in the robbery arose again when investigators discovered the museum’s motion detector equipment had not picked up the presence of the two thieves in the museum’s Blue Room, where a Manet portrait was snatched. The last movement detected that night had been Abath’s footsteps on his initial patrol rounds. Randy was the second security guard working on the night of the heist. This podcast is the first time he has spoken publicly about what happened that night, and has asked us to not use his last name. In 1990, he was working to land gigs as a musician, but worked at the museum to make ends meet. He had recently earned a masters in performance from the New England Conservatory of Music and had a passion for symphonic music. On the night of the heist, he wasn’t scheduled to work, but was called in because another guard called out sick. Today, he makes his money playing music, mostly on cruise ships.